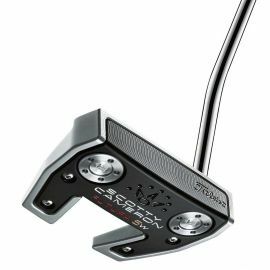 Classic meets modern with the Futura 5CB putter, a rounded “cavity back” with face-sole technology, a pop-through black anodized 6061 aircraft aluminum flange plate and single milled sight line on the topline. 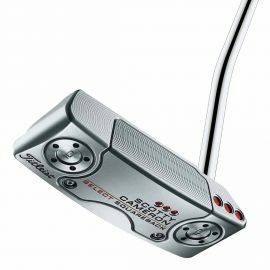 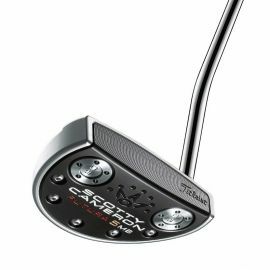 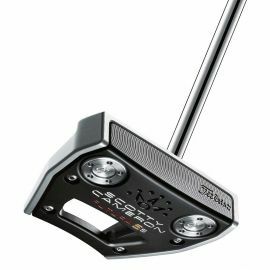 Engineered with an innovative new face inlay technology, the new line of Select putters blend precision milled Scotty Cameron craftsmanship with enhanced multi-material constructions to deliver tour-validated performance with unmatched feel and feedback. 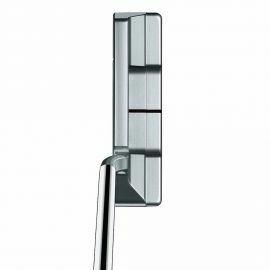 With subtle refinements to topline radius milling, the 2018 Select Newport 2 appears slightly thinner from address for a Tour-preferred setup favored by the world’s top players. 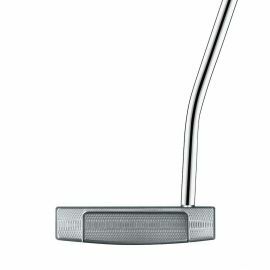 Up to 30% more vibration dampening material improves sound, as well. 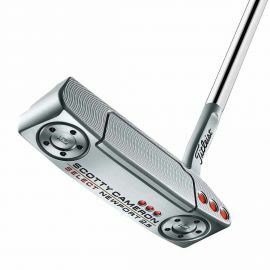 Inspired by Scotty's work with players on the worldwide professional golf tours, the Futura 5.5M offers the alignment and high-MOI characteristics of a mallet coupled with a neck configuration that promotes an arced putting stroke more commonly associated with a blade. 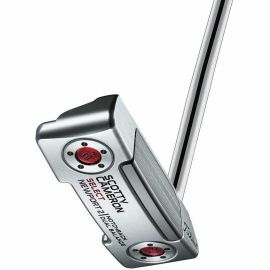 The heel-shafted 2018 Select Newport 3 brings together a teardrop shaped design with high toe flow. 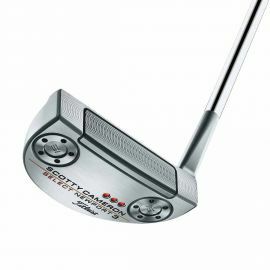 Flange milling has been smoothed for more sculpted contours with updated four-way sole balancing and improved vibration dampening. 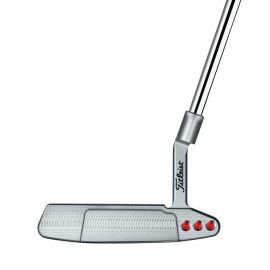 The Futura 6M offers the ultimate in forgiveness and resistance to twisting on off-center strikes in addition to providing the soft feel achieved by the wrap-around aluminum face-sole component. 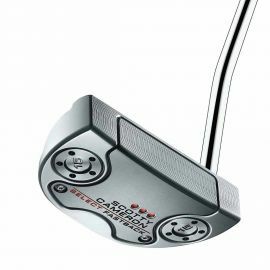 The Futura 5MB putter is an elegant, rounded mid-mallet that features a ƒ? 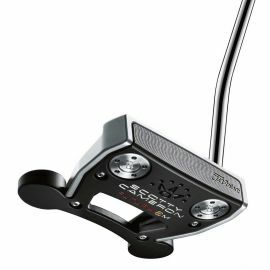 ?muscle backƒ? design with face-sole technology, a refined, rounded 303 stainless steel back flange and a single milled sight line. 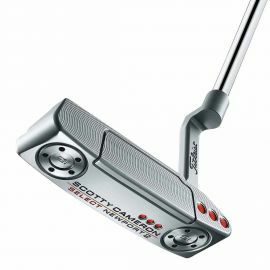 The evolution of Scottyƒ? 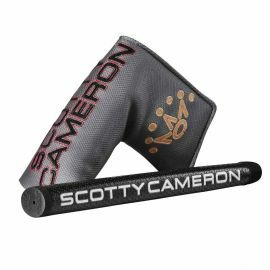 ?s modern mallet designs continues. 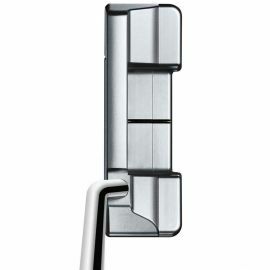 The Futura 5W putter is a modern wingback mallet with a full wrap-around multi-material face-sole. 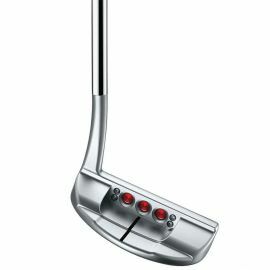 Enhanced dual-purpose alignment features frame the ball and align to the sweet spot with white flange lines placed parallel to each wing.